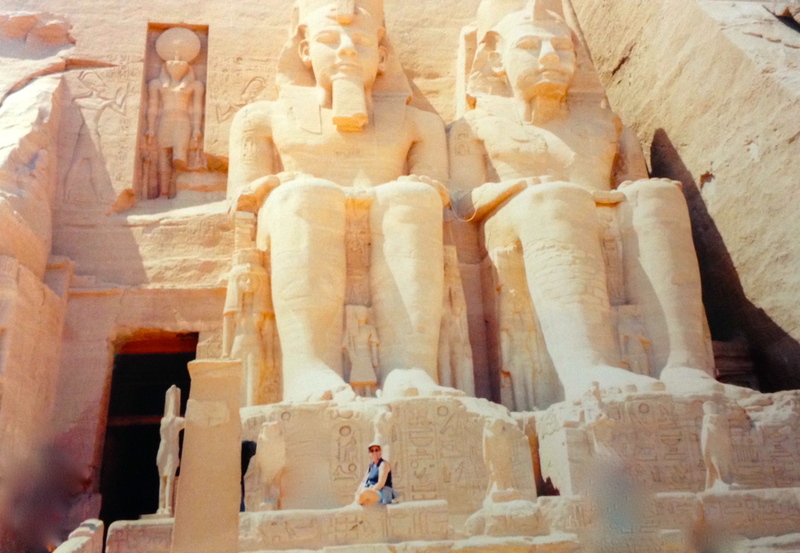 Let me start this post with a simple statement: my trip to Egypt was to-date the most astounding travel experience of my life; it is my favorite journey and I don’t think anything I will ever see will be able to match its ancient history, immensity, beauty and overwhelming presence, from both natural and man-made perspectives. However it may surprise you to read that I won’t be talking about the Pyramids in this series of posts – while they are a marvel, (and my cover art) they did not affect me the way other Egyptian sites did and that fact should give you a hint about the profound impressions left upon me by the places I will describe. And, since these sites are themselves so large, so intense, each one deserves and will get its own post. 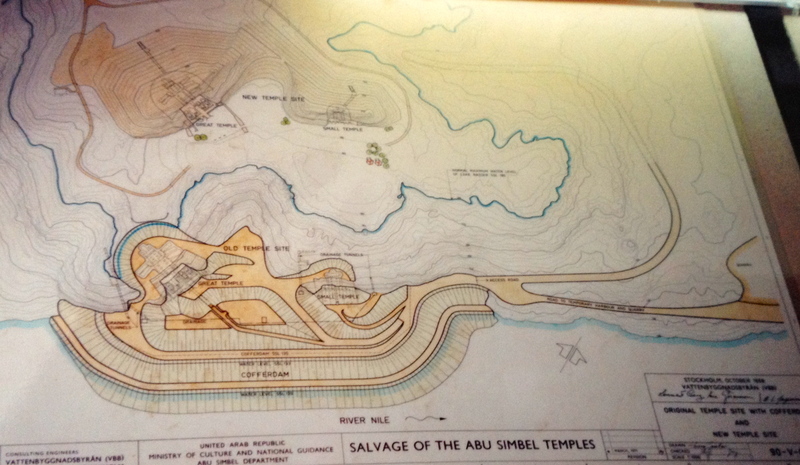 Today subject is at the top of the list: The Temples of Abu Simbel. 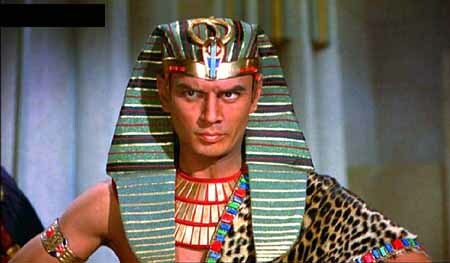 Let’s dismiss the theatrics of the movie’s plot, (most of the storyline isn’t accurate) and talk about the actual Pharaoh – Ramses II or Ramesses or Ramses the Great as he was known, reigned for over 60 years during Egypt’s most prosperous New Kingdom (when the Upper and Lower regions of Egypt became unified) during the 19th Dynasty ( 1296-1186 B.B.). 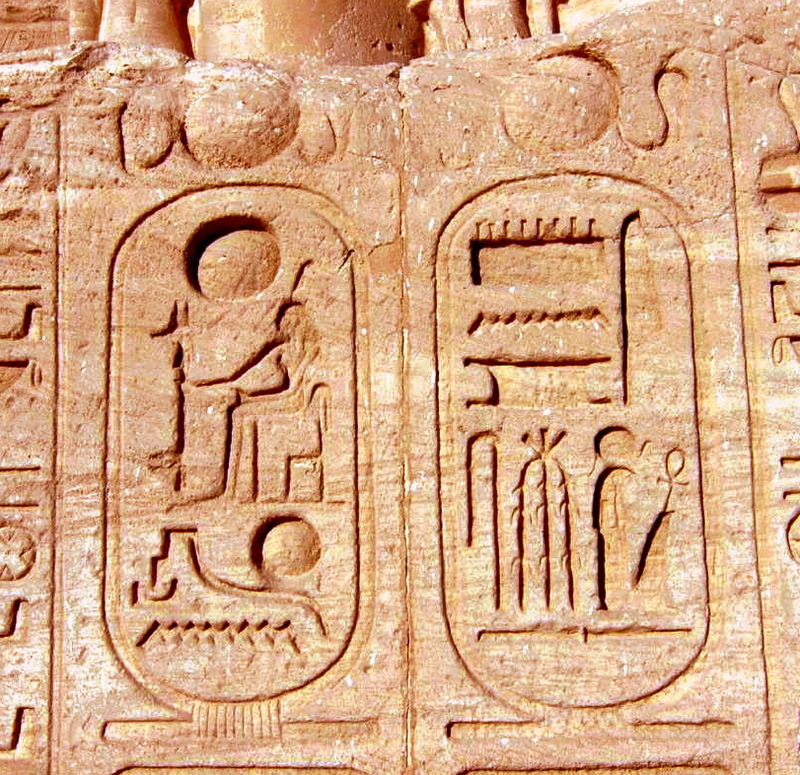 Ramses II was considered one of the most powerful and successful pharaohs of all. He sired over 100 children among his many, many wives and fought great battles, including the Battle of Kadesh (present day Syria) against the Hittites. 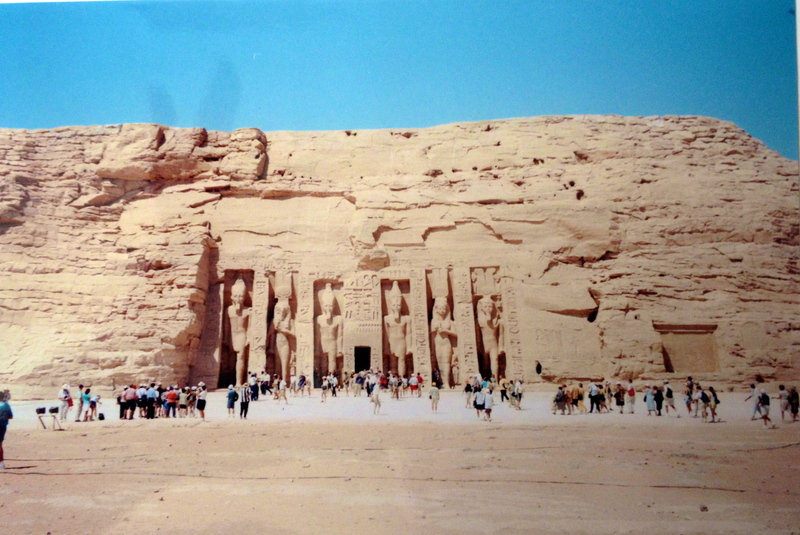 To commemorate his hugely prosperous reign Ramses II authorized the construction of many gargantuan monuments, temples and colossi (really big statues). 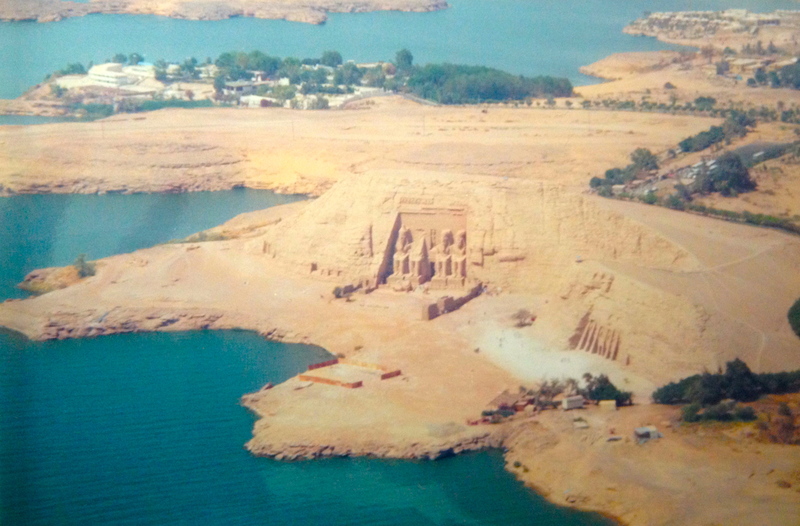 One of these spectacular sites is Abu Simbel, a group of temples built in Nubia, on the Left Bank of the Nile. 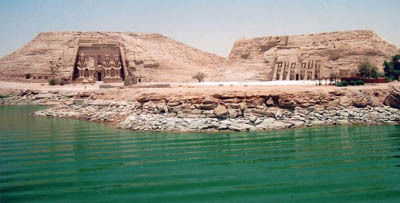 The Great Temple of Abu SImbel was dedicated to the patron deities of Egypt’s great cities: Ammun-Ra of Thebes, Ptah of Memphis and Ra-Harakhty of Heliopolis. 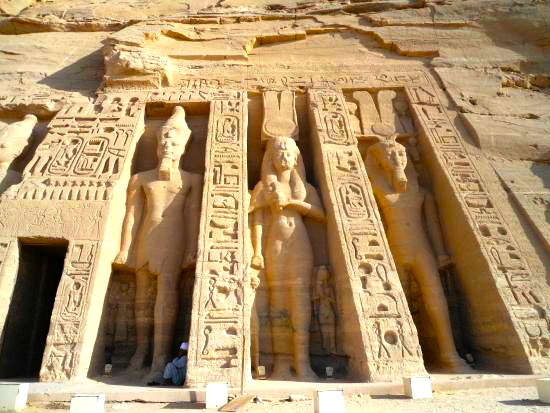 Hathor’s Temple (Hathor was the “Mother of Mothers Goddess” of women, fertility, children, childbirth, beauty, health and matters of the heart) was Ramses II’s love letter to his adored primary wife, Nefartari. 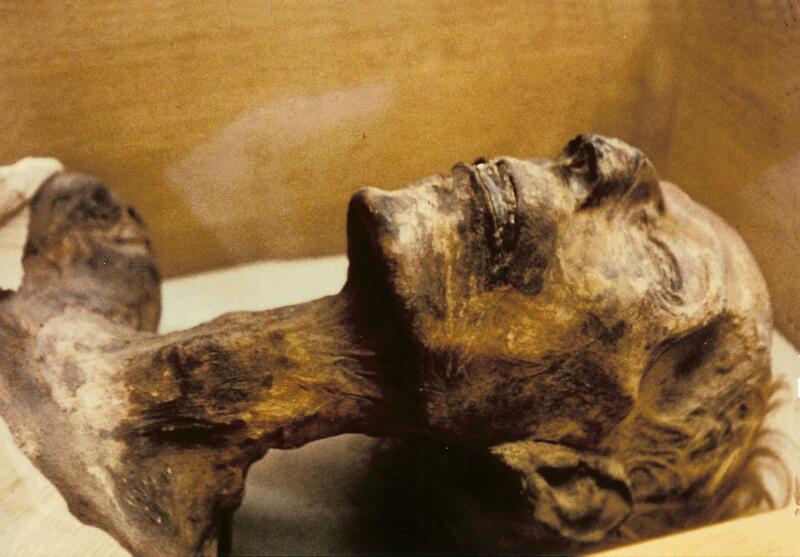 I remember having a philosophical argument with our Egyptologist guide, Sameh about Ramses professed love for Nefartari. I wondered how this love could be so singular, as the pharaoh had numerous wives whom he kept quite busy begetting children. Sameh is a very smart man – his explanation was simple and to the point – that as Pharaoh, Ramses II had a duty to produce heirs and due to the high infant mortality rate (due to disease as well as politically motivated murder) had to have as any children as possible. In addition, marriage alliances frequently were contracted in an effort to cement political power and mollify enemies – a notion common in other societies around the world. It was still possible and probable than despite all these additional marital duties, Ramses held a special place in his heart for his truelove Nefartari. In retrospect, it was wrong of me to try to impose my beliefs based on my modern-day upbringing to suppose that the Pharoah was anything but sincere in his love. 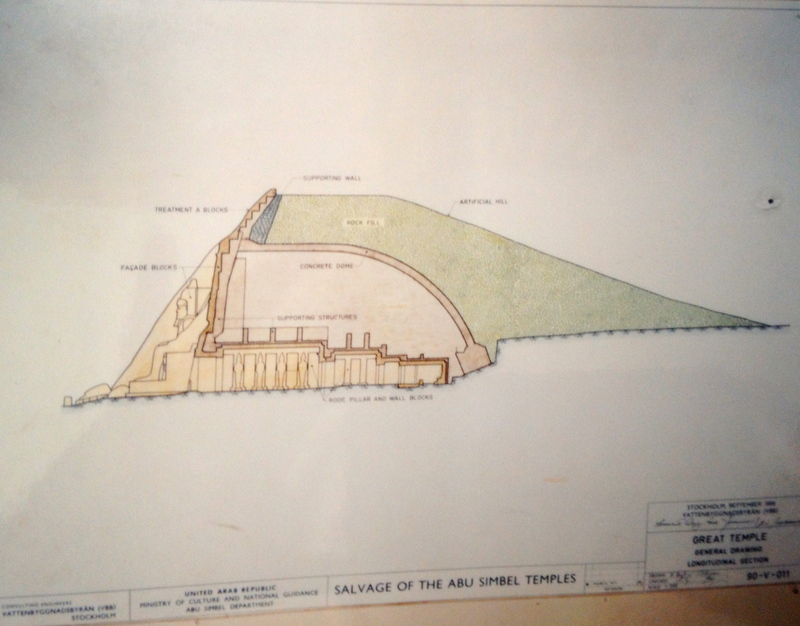 And, after seeing her massive temple, I have to agree that he must have had a major jones for Nefartari. 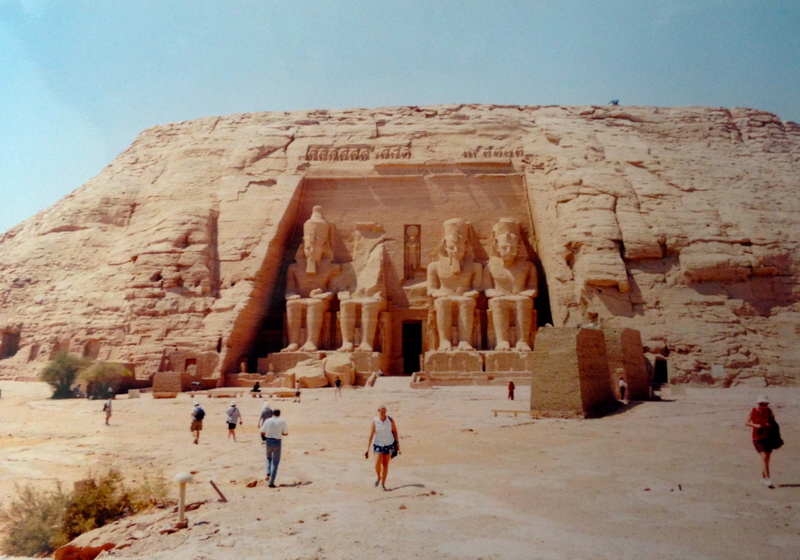 The Inner Sanctuary of Abu Simbel is located at end of this enormous temple, 185 feet from the entrance. 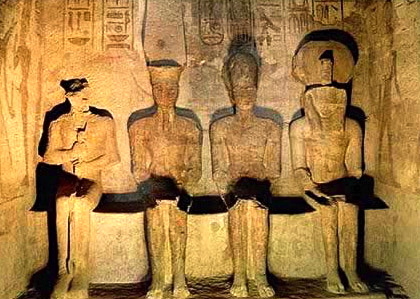 It appears quite austere (although it was most likely alive with color when originally created) with four statues on a bench: Ramses II, Ammun-Ra, Ra-Harakhty and Ptah. This sanctuary was very holy and only priests could visit. 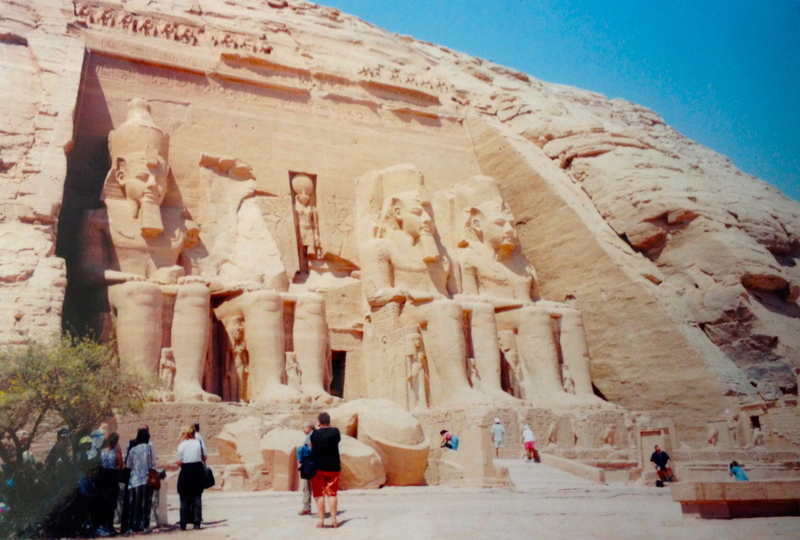 I cannot fathom how the engineers of the time figured out how to carve this sanctuary out in such a way – and actually position the entire Abu SImbel Temple so that this would occur – and it is easy to see how Ramses II was considered a man-god. It gets even stranger. More Egyptian wonders to follow. This entry was tagged AMUN-RA, BATTLE OF KADESH, COLOSSI, EGYPT, HATHOR, HYPOSTYLE HALL, INNER SANCTUARY, NEFERTARI, NILE RIVER, PHAROAH, PTAH, RAMSES II, THEBES. Bookmark the permalink. awesome photos- looks like an amazing trip! One day, I hope to get there. It truly amazes me how the Egyptians were able to erect such awesome structures with the resources they had. 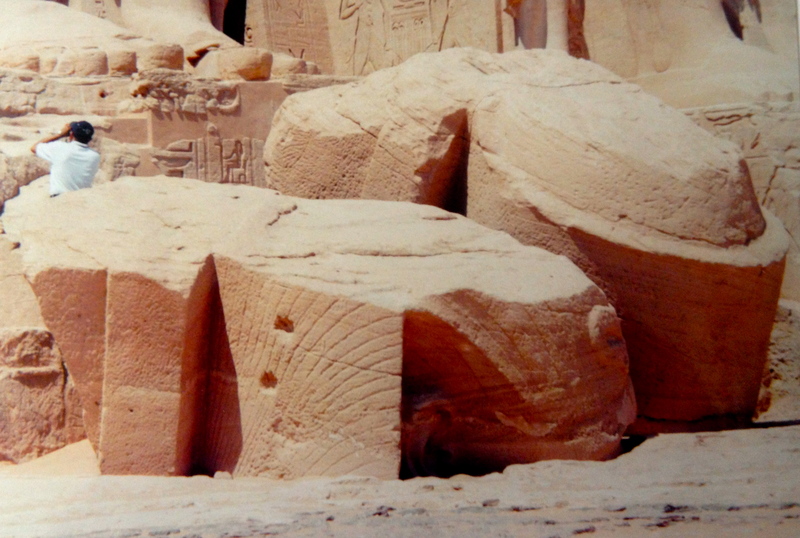 Better yet- how they were able to bulid it to capture the natural resources (such as the stream of light twice a year on the pharaohs’ statues. Truly a wonder! 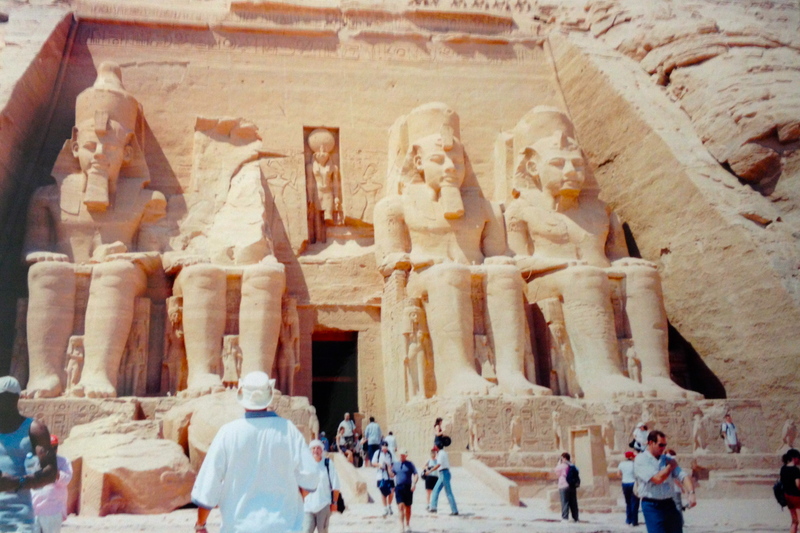 Thanks, Michael – being among such antiquities is surreal- besides being dumbfounded by the expertise the Egyptians possessed in so many areas there’s also a lot of spiritual energy there particularly in the tombs which I will talk about in a later post. It was an amazing civilization. Thank you so much for reading and providing feedback! Enjoy the holiday weekend!